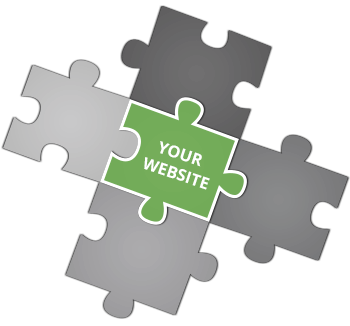 Not all website security is complicated. This first layer in security depends entirely on you and we’re confident you can handle the job. You need to create strong passwords and you need to encourage all your employees to do the same. A strong password contains 12 or more characters and is made of upper- and lowercase letters, numbers and special characters. Before you panic, we have a great companion article detailing a simple trick to remember strong passwords. A strong password keeps a casual hacker from gaining quick access to your site. Consider this example. A hacker creates a program that trolls the web for WordPress sites. The program then tries the username “admin” and the password “1234admin” on these websites. As soon as the program finds a match, the hacker has gained access. 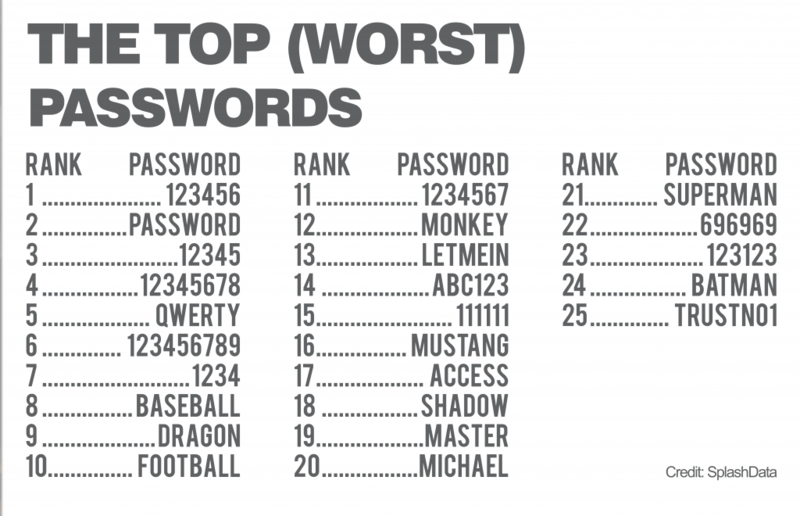 Take a look at the image for the top worst passwords people use to secure their accounts. The easiest thing you can do is to create a strong password for your website. It’s the equivalent of locking your door when you leave your house. It’s important to think about all the points of entry into your website and to create strong, unique passwords for each of them. These include WordPress administration user logins, FTP, MySQL, CPanel and email passwords. Not sure what FTP, MySQL and CPanel are? That’s okay – we take care of the strong passwords for these accounts if you host with us. We also set the initial passwords for WordPress and email accounts to strong passwords, but each user has the ability to change their password which can result in weak passwords. We recommend every employee is educated in creating a strong password and each business adopt a policy on the use of strong passwords. We know not everyone will create a strong password and so next week we’ll look at the next layer of security we implement on every WordPress website we create and host.